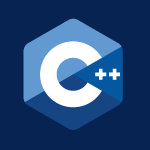 In this part of my C++ tutorial I will answer a bunch of questions I have received. I’ll talk about allocating memory with malloc(), Smart Pointers, Regular Pointers, Deallocating Memory, unique_ptr, Difference Between /n and endl, Polymorphic Templates and a whole bunch more. Like always the heavily commented code follows the video below. For best results print it out and take notes as you watch.